Two days ago we reported that in a striking departure from its mission statement of keeping speech free and uncensored, in its latest attempt to penetrate the Chinese market, Google was planning the rollout of a censored search engine in China. Google originally shut down its Chinese search engine in 2010, citing - ironically - government attempts to “limit free speech on the web" but that no longer appears to be a binding consideration. Google has demonstrated the app which would blacklist websites and search terms about human rights, democracy, religion and protests, to the Chinese government, and a final version could be rolled out in six to nine months. As The Intercept reported citing internal documents leaked by a whistleblower, Google had been developing the censored version of its search engine under the codename Dragonfly since the beginning of 2017. The search engine is being built as an Android mobile app, and will reportedly “blacklist sensitive queries” and filter out all websites blocked by China’s web censors (including Wikipedia and BBC News). The censorship will extend to Google’s image search, spell check, and suggested search features. Today, a group of Republican and Democratic senators slammed Alphabet Google the still unconfirmed reports it is developing a censored version of its search engine. According to Bloomberg, Florida Senator Marco Rubio, a prominent China critic, was joined by five other lawmakers on a letter to Google Chief Executive Officer Sundar Pichai on Friday demanding answers about the proposed "Dragonfly" search engine. The letter demands details on Google’s push into China, and was also signed by Republicans Tom Cotton of Arkansas and Cory Gardner of Colorado, and Democrats Mark Warner of Virginia, Ron Wyden of Oregon and Bob Menendez of New Jersey. "We appreciate your prompt reply to this inquiry, including any views that you are prepared to share as to how this reported development can be reconciled with Google’s unofficial motto, ‘Don’t be evil,’" the letter concludes. And while Google responded that it declines to comment on "speculation about future plans", in a separate article Bloomberg reports that as Google is contemplating its Chinese expansion, it has already figured out just how it will monetize selling out: it is laying the groundwork for a key part of the initiative, bringing its cloud business to the world’s second-largest economy. The talks began in early 2018 and Google narrowed partnership candidates to three firms in late March, according to one of the people. However, with trade tensions between China and the U.S. now looming over the effort, it’s unclear if the plans will proceed. After years of slowly rebuilding a presence in China, Google has pressed the accelerator recently. As Bloomberg notes, it’s building a cloud data center region in Hong Kong this year and opened an artificial intelligence research center in Beijing in January. 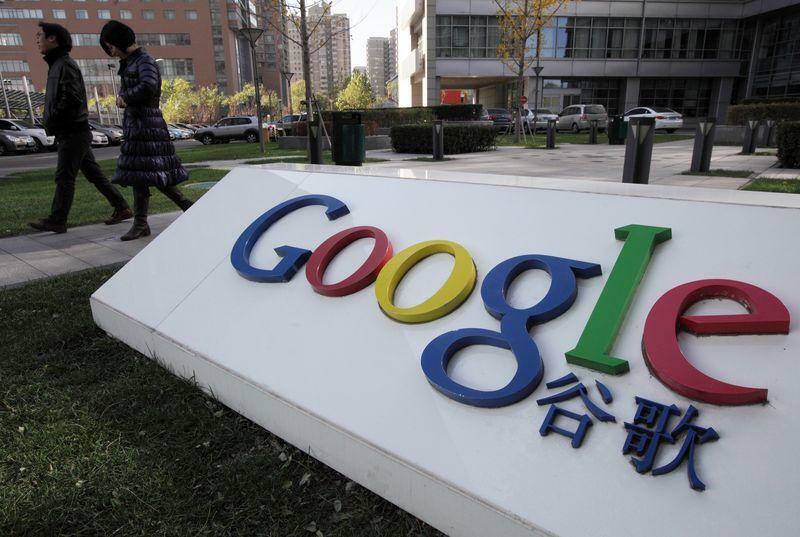 Along with other Alphabet Inc. units, it has begun investing more in Chinese companies. Plans for a censored search app in China surfaced earlier this week, sparking a furious debate about whether Google is putting profit over its mission to "organize the world’s information and make it universally available."